An improved, updated edition of a much-needed reference work in an increasingly pluralistic world where all kinds of unconventional religious groups abound. Formerly published as Dictionary of Cults, Sects, Religions, and the Occult. If you are a deliverance minister working with people to get free, this is a must-have reference book for your shelves. It explains all the types of occult, cults, sects and world religions of today. We perish from lack of knowledge. Many Christians are dabbling into occult practices. It is an abomination to the Lord and people are suffering from the consequences through torment. 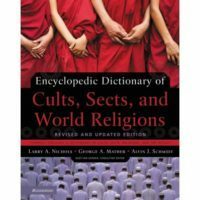 You need this Encyclopedia Dictionary of Cults, Sects, and World Religions.